Tonight the Hollywood stars will be dressed up, the paparazzi will be filling their SD/CF chips, and HDTVs and DVRs will be cranked up to check out those new dresses. Yes, tonight is the night of the Oscars. 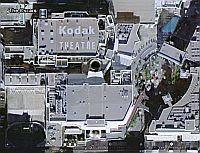 You can check out the scene of the action in Google Earth - the Kodak Theater . 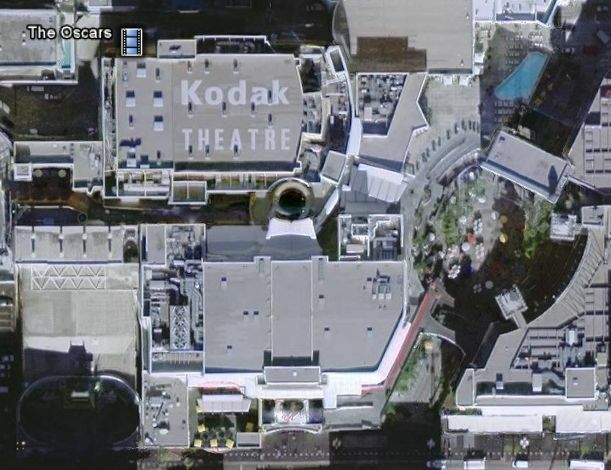 Look for the stars on the Hollywood Walk of Fame just a bit to the south. While you're in Hollywood, you might want to look at the homes of some stars (from this post).